The AMPD Performance Facilities unit manages a wide range of outstanding performance and presentation facilities in the School of the Arts, Media, Performance & Design at York University. These include the Tribute Communities Recital Hall, Sandra Faire and Ivan Fecan Theatre and McLean Performance Studio in the Accolade East Building, and the Joseph G. Green Studio Theatre in the Centre for Film and Theatre. All AMPD performance facilities are fully accessible, and are supported by lobbies and washrooms. Production areas include lighting and sound control consoles, as well as dressing rooms and various backstage amenities. In addition to serving as teaching, rehearsal and performance spaces for York University, these facilities are available for rent at competitive rates. Booking enquiries from corporations, commercial producers and community organizations are welcome. Audience services include professional box office operations and front-of-house services. The box office utilizes the Tixhub Ticketing System, and provides ticketing services (online, in-person and by phone) for clients. Front-of-house services include coatcheck, ushering, beverage service and general assistance with event planning. The AMPD Performance Facilities unit is staffed by a full-time professional production and management team. It also provides training opportunities for AMPD students. The Sandra Faire and Ivan Fecan Theatre is a 360-seat proscenium theatre which can accommodate a variety of events such as dance, theatre, musicals, conferences and lectures. The theatre offers generous stage, sidestage, wings and backstage space, an orchestra pit, fly system and traps, loading dock, dressing rooms, and a comprehensive array of technical equipment. The audience enters the theatre through the CIBC Lobby, which is included with your venue rental. 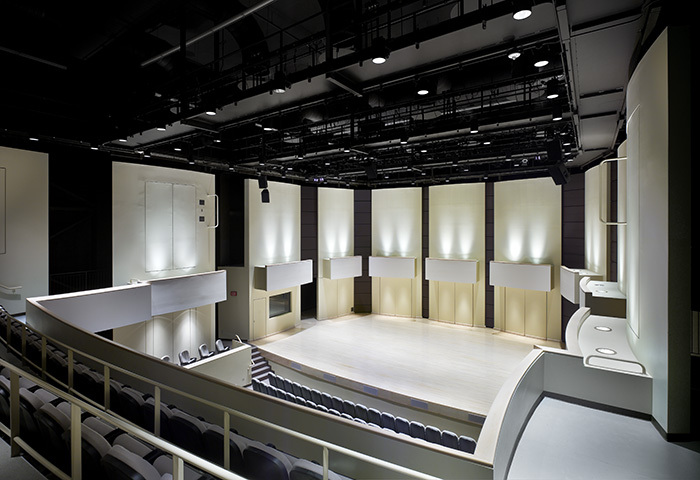 The Tribute Communities Recital Hall is an intimate, 320-seat concert venue with an integrated recording studio. It is ideal for a wide range of music presentations including recitals, orchestral, chamber and choral concerts, in classical, jazz and world music. Acoustically designed by Artec, the hall can be tuned via adjustable acoustic banners to optimize the sound of variousÂ instruments, configurations and styles of performance, and has a sound system that accommodates lightly amplified performances. Facilities include a grand piano, flexible riser system and ample dressing rooms. The audience enters the recital hall through the CIBC Lobby, which is included with your venue rental. The CIBC Lobby is a dramatic 2,600 sq. ft. single-level space fronting the Sandra Faire and Ivan Fecan Theatre and the Tribute Communities Recital Hall. It includes a full-service box office and coat check area. 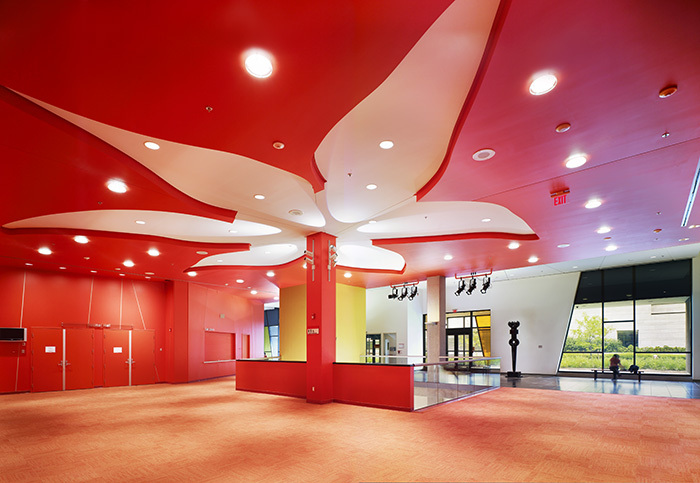 In addition to supporting front-of-house services for the recital hall and theatre, the lobby is an excellent venue for receptions, conference registration, exhibits, marketplaces and small performance presentations. It can be booked separately for special events that may not require a full performance facility. The McLean Performance Studio is a 90-seat, informal theatre space dedicated to dance performance. It features a dance lighting plot, sound system and moveable black draperies. The Joseph G. Green Studio Theatre is a versatile ‘black box’ performance space ideal for small-scale events, productions and rehearsals. Seating configuration is flexible and may be adjusted to suit the layout of individual productions, with variable seating capacity up to 120. The theatre has a fixed lighting grid and comprehensive selection of technical equipment, and access to dressing rooms. It opens into a lobby with box office facilities. A diverse range of music, dance and theatre studios is also available for rental. Please contact us for more information.